I was recently introduced to the written work of Joel Denker by his wife, Peggy. 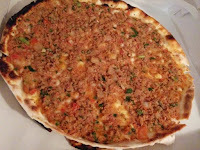 She asked me for permission to use my photo of kadaif in an article Joel was writing about Armenian Pizza – aka lahmajoun. I was delighted to share. 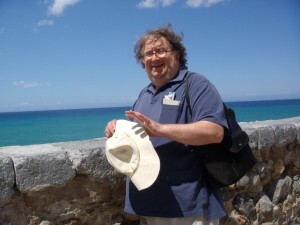 Once completed, she sent me his article – a fascinating read! 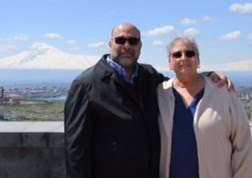 Joel, a man with a passion for knowledge in the history and culture of ethnic food, has invited me to share his story with readers of The Armenian Kitchen. I hope you'll enjoy it as much as I did. Sit back, relax, and enjoy the 'jottings of Joel'. Over the years, I have been drawn, almost serendipitously, to Armenian food. When I lived as a young teacher on Lexington Avenue in the mid-twenties, on New York’s East Side, I discovered a restaurant, Palace d’Orient, nearby. It became a haunt of mine. At the time, I took its unusual cuisine for granted. 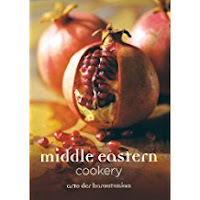 I even gave little thought to its name, which, I later realized, evoked the alluring Middle East. The small dining room had all the trappings of a luxurious establishment. At least, it seemed elegant to me, a roving bohemian attracted to snack bars and luncheonettes. Overpowered at first by the Palace, the culinary hideaway gradually grew on me. Formally dressed waiters presided over the restaurant. They hoisted trays of dinner specials, which they delivered to well-appointed tables with white tablecloths. Platters of mussels stuffed with rice and currants and skewers of lamb shish kebab were presented to diners. I remember savoring a curious dish, baked eggplant topped with a rich tomato sauce and luxuriant with olive oil. Thinking back, it might have been imam bayildi (“the priest fainted”). Its extravagance was suggestive of the grandeur of the Ottoman Empire. Yet it was on the menu of an Armenian restaurant, whose proprietors’ forebears were members of a large Christian minority ruled by Turks. In retrospect, this was a paradox, but not one I pondered at the time. 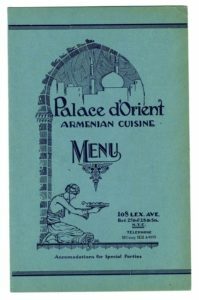 The Palace was one of several restaurants that sprang up in Manhattan’s Little Armenia neighborhood. An Armenian Orthodox church, St. Gregory the Illuminator Cathedral, anchored the district. Several rug stores were located nearby. The restaurants have vanished, but one landmark of the old community’s retailing past remains. Kalustyan’s on Lexington Avenue between 28th and 29th Streets was opened by an Armenian businessman in 1944 to market familiar foods to his fellow ethnics. Kerope Kalustyan had planned to export steel to Turkey but decided to try his luck in the food trade. Basterma. Photo by Joumana Accad. Some years later, I ventured into an Armenian grocery store in Marseilles, a port city that is home to a large community of these ethnics. In this entrepôt for trade with the Levant, Armenian merchants had built a small colony by the early seventeenth century. 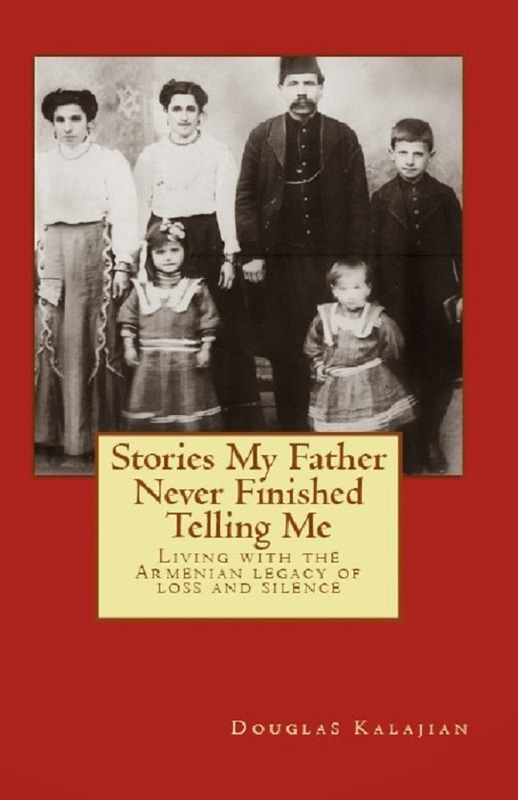 In the late nineteenth and early twentieth centuries, a large influx of Armenian immigrants fleeing oppression in Turkey streamed into the city. I was on a ramble in a multi-ethnic quarter of the city, where earlier newcomers had set up shop and which was now becoming increasingly North African. I nibbled sweets at a Tunisian bakery, peered at a plethora of spices in a Somali-owned shop, and dined at a festive Ivoirian restaurant, whose owner hugged me and introduced herself as “Mama Africa.” Soon, a pitcher of bissap, a crimson, tart, West African juice made from hibiscus, arrived at the table. Alimentation Murat, the Armenian store, represented an older immigrant era. The store, which advertised specialties of the “Orient,” was a remnant of a once-thriving commercial diaspora. The neighborhood once boasted “beaucoup” Armenians, a local told me. 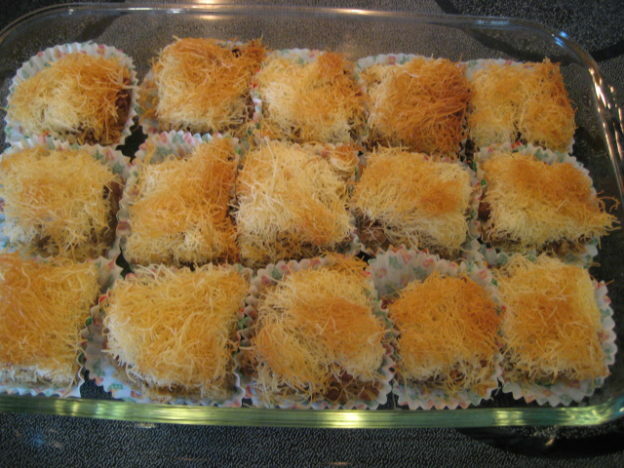 The grocery displayed an array of goods—chopped pistachios and other nuts, dried fruits, cherry syrup, orange blossom water, cans of okra, Mediterranean white cheese (like feta), and sweets like halva and kadaif (a pastry resembling shredded wheat). It had the flavor and atmosphere of a Middle Eastern food hall. At least one item, a dried, spiced beef called basturma, dear to Armenians, would have been a telltale sign to his clientele of the owner’s heritage. On another food quest, digging through books for nuggets on the history of ethnic food, I chanced on a reference to Colombo yogurt. Apparently, this once exotic product, which I had first sampled at Skenderis, a former Greek grocery in Washington, had been conceived by an Armenian family. My curiosity whetted, I wanted to know more. 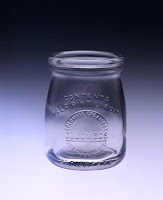 I got in touch with Bob Colombosian, whose parents founded the business. 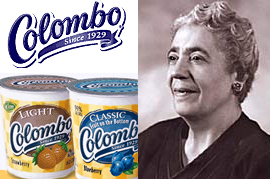 Rose Colombosian, who started Colombo Yogurt with her husband, Sarkis, in Massachusetts. An early Colombo yogurt bottle, from the collection of the Massachusetts Historical Society. A new client, the Mugar family, who owned two groceries in Watertown, a Massachusetts town with a large Armenian population, opened the door to a larger market for the Colombosians. The Armenian merchants who began carrying Colombo later launched Star Markets, a statewide chain. The entrée the owners gave the Colombosians to their supermarkets provided greater visibility and income. 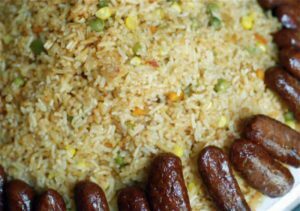 Rice pilaf with sujuk sausages. Photo by Joumana Accad. I continued to stumble on Armenian foods. At Bacchus, an early Lebanese restaurant in Washington, DC, Usama El-Jallad, the flamboyant owner, explained the myriad items on his mezze (appetizers) menu to the uninitiated. As he ran down his roster of delicacies, flavored with mint, pomegranate molasses, sesame tahini, and other seasonings, he stopped to decipher the names of unusual dishes. One of them, sujuk, was unfamiliar to me. 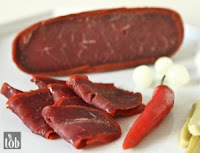 The tasty, spicy sausage, which he identified as Armenian, I later learned was a specialty of their kitchen. They complemented their pizza with other items, many also turned out from the oven. Customers drove to the shop to pick up maneesh za’atar, a flatbread sprinkled with a blend of thyme and sumac that is a popular Lebanese breakfast repast. They also baked spinach pizza accented with feta cheese and fatayer, a kind of Middle Eastern turnover filled with meat or spinach. The Esrabians also offered the region’s classic appetizers, hummus and baba ghanoush. I quickly turned my conversation with Maro to the question that preoccupied me: Who created lahmadjoune? While acknowledging that the word was Arabic-Turkish, her pizza, Maro said, was distinctive: “The name is the same but the taste is different in Arab countries.” The Armenian pie was “lighter” and not as “spicy.” It was the stronger, more pungent flavor of the Arabic flatbread product that distressed her. Similarly, she felt that the taste of Lebanese za’atar was too intense. Compared to the passionate convictions of some ethnics about lahmadjoune, Maro’s views on the pastry were measured. Opposing sides have laid exclusive claim to it. 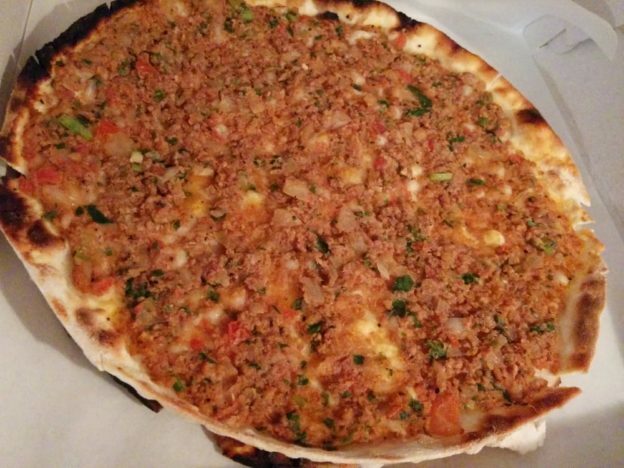 When two Armenian restaurants recently opened in Russia, Turkish loyalists were enraged by their campaign to promote the pizza as uniquely “Armenian.” Assailing the alleged imposters, Turkish television commentators declared that the lahmadjoune belonged to their country. Interestingly enough, even in Turkey, different regions have squabbled over the pie, each claiming to be its rightful parent. 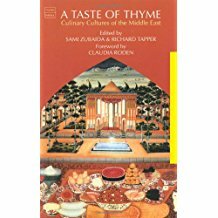 Cover of 'A Taste of Thyme: Culinary Culture of the Middle East', by Richard Tapper and Sami Zubaida. Their responses made me reexamine my own preconceptions. I knew from my own writing and research that food is often a product of a jumble of cultures rather than of one land or nationality. Even though I understood this argument intellectually, I frequently (as in my conversations with Maro Esrabian), looked for convenient pigeonholes for foods. I began thinking of another way of illuminating “Armenian pizza”—it belonged to the Armenians only in the sense that they put their own imprint on a shared pastry. 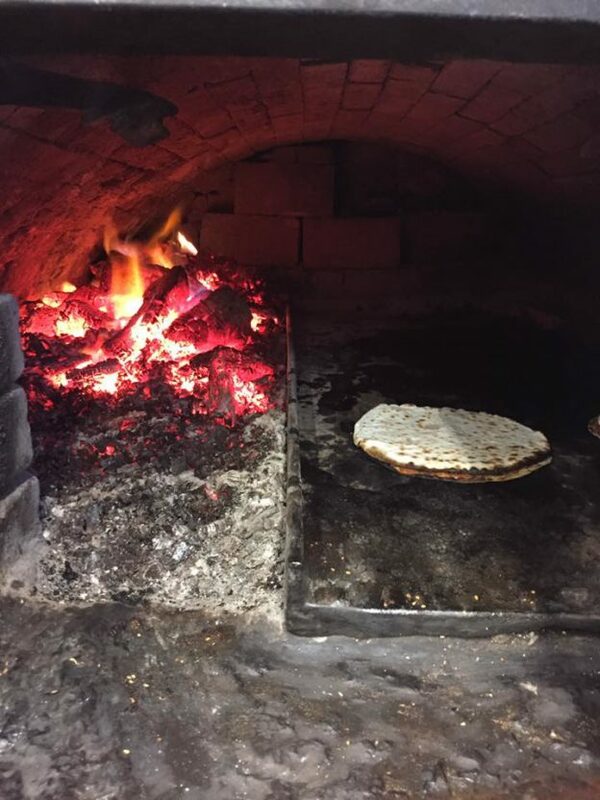 Armenians may not be its parents but because they were prominent bakers as well as purveyors of lahmadjoune and other Middle Eastern specialties, it was natural for many to think so. The association was an easy one to make. 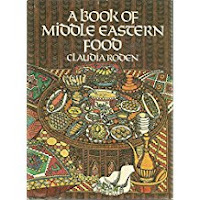 The Armenians, for example, controlled the “bread and pastry” trade in Aleppo, Syria for three hundred years, Sonia Uvezian, a culinary historian of the Middle East, notes. The Armenians came from a long trading tradition. Outsiders in the Middle East, they capitalized on their ancient nation’s position as a “Christian island in a Muslim sea,” to use historian Philip Curtin’s image. These “cross cultural brokers,” Curtin argues, carried goods to distant destinations. In the eighteenth century, Armenian merchants processed caviar from sturgeon eggs and shipped it to Russia. Goods from the East, like Persian silk, were transported west, to Amsterdam and other towns. They were also pioneers in the popularization of coffee. In the 1670s, an Armenian from Marseilles opened the first coffee houses in Paris and other towns, Curtin points out. They also operated most of France’s early cafés. Because of their prowess, Armenian Christians became the consummate traders and artisans in the Ottoman Empire. 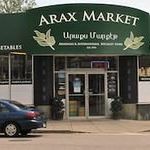 Arax Market, an Armenian grocery in Watertown, Mass. Unconstrained by any and all ethnic boundaries, some Armenians have burst into the American fast food arena. 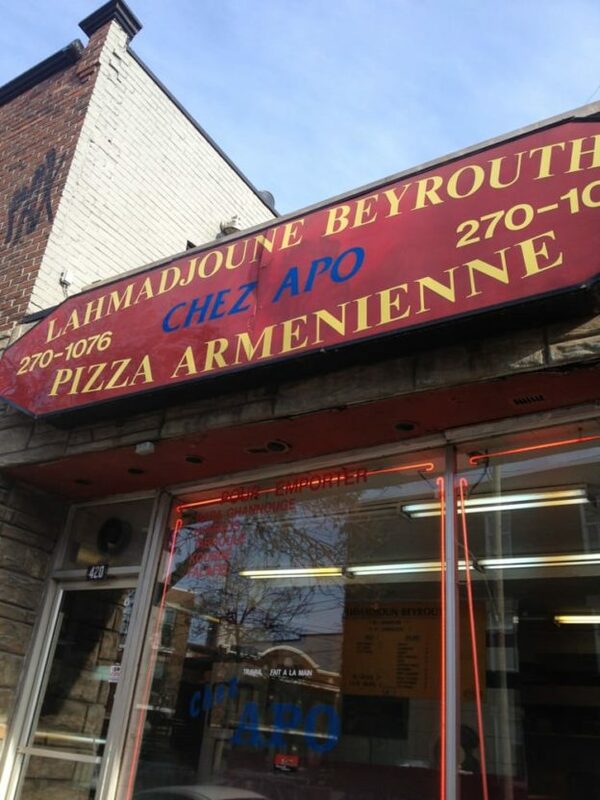 In 1992, two brothers, Aro and Allen Agakhanyan, opened Big Mama’s and Papa’s Pizzeria in Los Angeles. From this early shop, they built a chain of more than twenty businesses. The brothers concocted a Giant Sicilian Pizza, a 200-slice pie, which they claim is the largest ever to be delivered. Their outlets sell pizzas along with such standbys as Philly cheesesteaks, Greek salads, chicken wings, and potato skins. Big Mama’s gained national fame at the 2014 Oscars when Ellen DeGeneres ordered their pizza to share with the luminaries.